Follow a half dozen of the 300 or so hikers who attempt a PCT thru-hike every year. Armed with cameras, they give us an insider’s view into what it takes to spend half a year living in the wild. 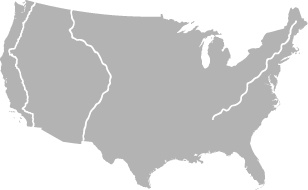 The Pacific Crest Trail, like its better-known eastern cousin the Appalachian Trail, is a narrow corridor of wilderness set aside by an act of Congress (The National Trails System Act, 1968) to preserve a place where hikers can commune with nature. Over the course of its 2,663 miles, (a number that changes from time to time, due to natural hazards or land re-negotiations) it passes through 33 designated wilderness areas, 24 national forests, 7 national and 6 state parks. The trail begins in the desert and winds its way through six of North America’s seven ecozones. In its hottest stretches, where temperatures can top 100 degrees Fahrenheit, hikers often cover 20-30 miles of trail between water sources. The longest waterless stretch on the trail is 35.5 miles! In the Sierra Nevada mountain range hikers must contend with snow covered mountain passes and ice-cold rivers. As they journey further north into the Pacific Northwest, they’ll contend with the changing seasons as they strive to reach Canada before winter arrives. 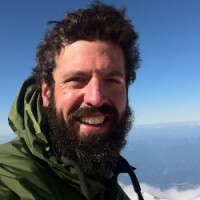 Scott Williamson has logged more miles on the Pacific Crest Trail than anyone else in history. He has completed what's known in the thru-hiking community as the "Triple Crown" - at least one thru-hike on the Appalachian Trail, the Pacific Crest Trail and the Continental Divide Trail. During the winter, he works as a tree trimmer in the town of Truckee, CA. Billygoat is a retired railroad worker from Maine who left it all behind in his 50s, and has been calling the trail his home ever since. 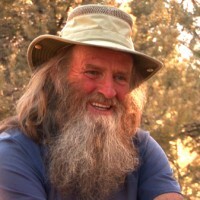 Now approaching 70 years of age, he might yet be the oldest man to complete a thru-hike of the Pacific Crest Trail. Not one for a sedentary, indoor existence, Billygoat spends his winters hikes in Florida. Alina Budai was an outdoor guide, working summers on the Canary Islands when she met Carsten. After hearing all about his adventures on the Appalachian Trail, she agreed to embark on her very first thru-hike - with him - on the Pacific Crest Trail. It took them a year - living on different continents, to save up enough money to make it a reality. 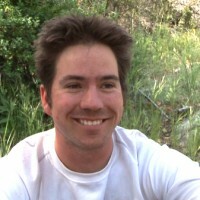 Carsten completed a thru-hike of the Appalachian Trail in 2004. Bit by the thru-hiking bug, he dreamed of his next getaway for years. And then Alina walked into the backpacking gear shop where he worked, in Frankfurt. And the rest is history. Hoping to one day become a "Triple Crowner" of long distance hiking, Carsten is one of Germany's foremost ultralight hiking authorities. Jackalope completed her doctoral dissertation in Marine Biology just before departing for her Pacific Crest Trail thru-hike with her husband-to-be. With a post-doctural research position awaiting her at the University of Nevada, Las Vegas, she left 26 years of schooling behind for a well-deserved walk in the woods. Eagle Eye is a professional audiophile, working in sales and marketing for one of the countries foremost audio companies. Helping his wife-to-be realize a dream, he quit his job and sold their home in Oregon to embark on this 5 month adventure in the woods. 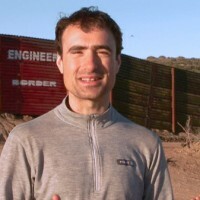 Inaki is a software developer, originally from the Basque country of Spain. 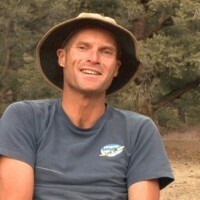 Prior to hiking the Pacific Crest Trail, he took the high route along the Pyrenees Mountain Trail in 2005. Since then he's hiked the Arctic Trail in Northern Scandinavia, the Colorado Trail in the U.S and through the Alps to the Mediterranean Sea. Donna Saufley and her husband Jeff are the most famous and perhaps most-loved "Trail Angels" on the PCT. They've hosted nearly 3000 hikers since that fateful day in 1997 when she invited the first weary hikers to rest up at their home in Agua Dulce, CA. Thru-hikers are so fond of the Saufley's and their home, that they refer to it as "Hiker Heaven". Lisa Diener has been working with moving images for over 20 years. Her post-production experience includes San Francisco Bay Area documentary film productions as well as electronic art installations, Afghan-American feature film, and a diary film segment of a production for ZDF-Arte German television. 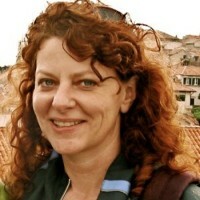 She is currently a Manager in the ProApps division of Apple, Inc. This is her directorial debut. Shaun Carrigan has spent the last decade helping revolutionize the way sports are broadcast. With five National Emmy Awards to his name, you've seen his work on the Summer and Winter Olympics, the World Series, the Daytona 500, and nearly every baseball broadcast on television. He's hiked 1,400 miles of the PCT and considers the High Sierra his favorite place in the world. Tell it on the Mountain is his first film.